"...something more folky in the veins of Bob Dylan and Bon Iver..."
Thank you so much, VENTS Magazine! This video, directed by Gordon Freas of Tiny Citrus Films was so much fun to shoot. I couldn't be happier to see it premiere on VENTS! Check it out! "...The first to represent a body of work that can be dissected into witticism-thoughts via immigrant songs that describe the American landscape in folklore." A huge huge thank you to Nadeem from Elevtrtrax for his glowing (and extensive!) review of my newest single "Coal Miner's Son". Please read his kind words (the quote above is just the tip of the iceberg) and remember to look out for my debut album Red Horses on September 23rd on iTunes/Spotify/TIDAL/etc. "His perspective and clever writing shine through over pristine guitar melodies... The new album will be one to firm plant on your radar." GroundSounds was very generous in their premiere of my new song "In The Year 2010 (Of Our Lord)". Jake's review of the song is flattering beyond belief and makes me a little shy. But only a little! Enjoy the write-up and look out for my new album coming on September 23rd. "...a breath of fresh air... a truly talented vocalist, discussing his raw emotions in simplicity." This afternoon, Impose Magazine premiered my new song "Red Horses". Thank you so much, Impose Magazine! It's really encouraging and humbling to read Meredith's review of the song. Check it out and stay tuned for my first full-length album coming September 23rd on Brilliant Green Records. Just a City Kid Presents: Bring Prudence - "Dark Side"
Natasia Hanratty (Just a City Kid Presents) put together this intimate and raw video of my new song “Dark Side”. Also in the video, a painting by Mary Houlihan. Come see me play at 7 pm sharp tonight at Pianos with queenkwong, teenbodymusic, Tow3rs, and Charlie Brand (of Miniature Tigers)! 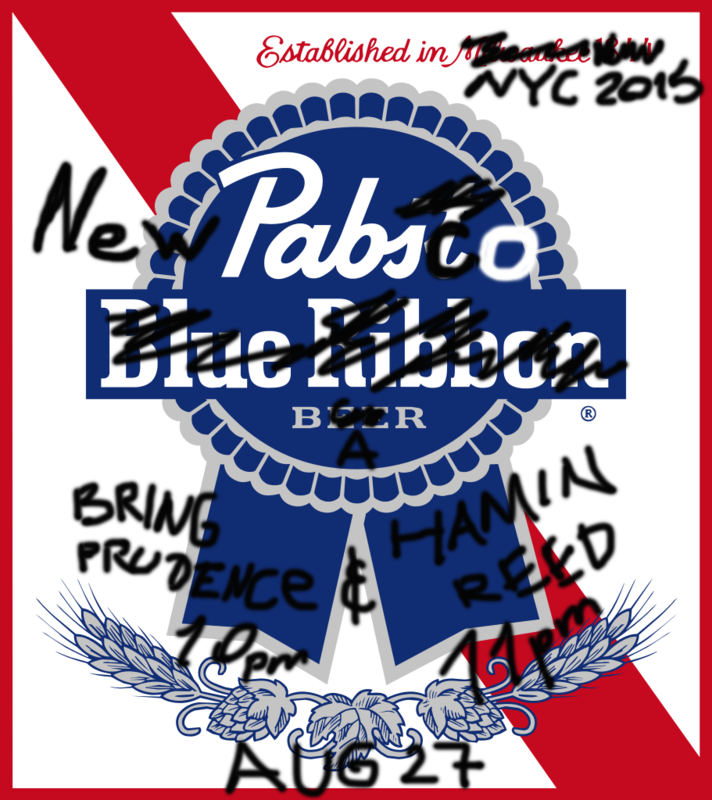 Wow easily the ugliest poster I’ve ever made for my show w/ Hamin Reed at New Pabsco Bar tomorrow. I go on at 10 pm! Hi everyone! I have a few shows coming up around the bend. Come hang out! Good news for people who like my song “Don’t Break My Heart”! If you wanna hear it surrounded by some amazing other songs, head onto The Indie Rock Playlist and check out their playlist for February 2014! Bad news for people who dislike it dough. 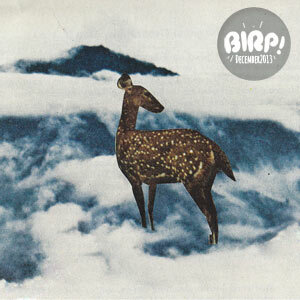 It looks like Bring Prudence made it onto the birp.fm December 2013 Indie Playlist! Thanks guys! Brooklyn-based songwriter and self taught electronic musician Bring Prudence (Oleh Zaychenko) released a beautiful EP called Aliens back in August. All this time, I’ve been thinking that I was going to post about one of the tracks from it here on the blog, right up until I started to put together this post and I realized that the track I had in mind all along was from his 2010 record Engineers. I guess I’ll have to blame this on my sometimes lack of attention to detail, as well as the general chaotic nature of my iTunes library at times. Either way, Engineers AND the newish Aliens EP are both worth a listen. Both have beats, synths, and catchy melodies. What a great write-up by Matt Bomarr from the Bomarr Blog! Thanks, Matt! And if you wanna hear “Furniture”, you can play it right here. Check out this neat feature on Bring Prudence by Indie Rock Cafe in their article “5 DIY Solo Artists You’ve Gotta Hear, Vol. 1”. So cool! Thanks Indie Rock Cafe! It’s especially awesome to be featured alongside Davis Fetter, Ben Kernion, Tapes & Tubes, and and Ian Burn! Thanks to The Equal Ground Blog for an awesome review of Aliens! PREMIERE: Music video for “Aliens” off of my latest album. Filmed and edited by my friend Devin. Things are getting dark! Come back here tomorrow morning for the premiere of my new music video for “Aliens”. My new music video for the song “Aliens” is coming out on October 1. Do you recognize the location where this picture was taken? tags / bring prudence, oleh zaychenko, aliens, music video, promo, photo, wolf hat, crown heights, roof, champagne, free! Just 3 days left until the premiere of my new music video for the song “Aliens”! Just what the heck is going on in that picture?? tags / bring prudence, aliens, music video, promo, photo, crown heights, Singer-Songwriter, electronic, indie pop, wolf hat, free! 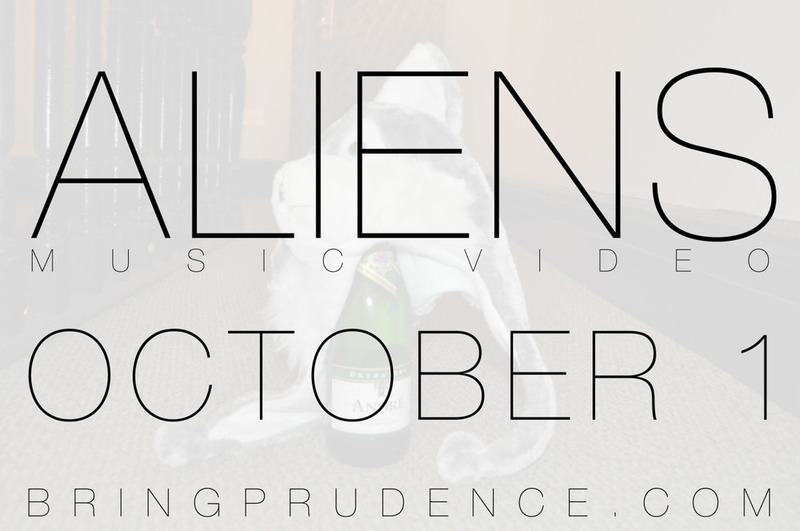 Wolf hat and champagne - see the NEW me in the “Aliens” music video on October 1. Again with the hat! 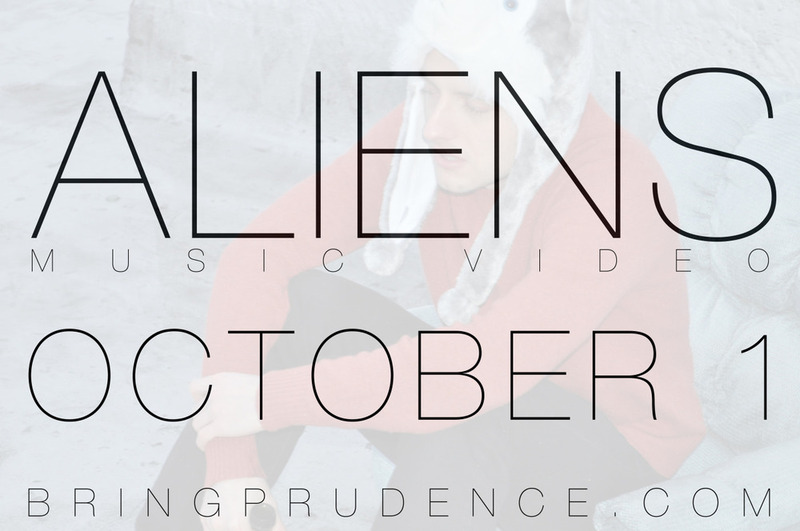 Remember, my new music video for the song “Aliens” is coming out on October 1.